Our attorneys possess the skills and necessary contacts to represent clients in a variety of administrative matters. Administrative law is a branch of public law concerning the activities of government agencies, boards and commissions. Such activities include rule-making, adjudication, or the enforcement of a specific regulatory agenda. The importance of administrative law has only grown in recent decades, as legislative bodies have created more government agencies to regulate a variety of social, economic and political matters. Practice before administrative agencies and governmental bodies requires both expertise and experience, qualities which our attorneys have developed in serving our clients. 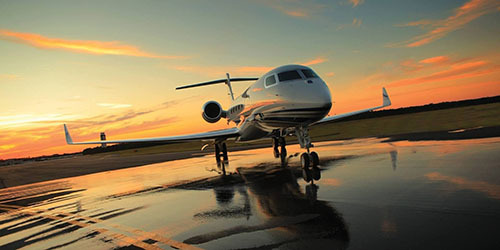 The firm has decades of experience in aviation business, including financial and administrative law, domestic and international aviation law and representing air carriers and air taxi operators; buyers, sellers and brokers in aircraft sales; certificate holders, airmen and mechanics before the FAA, NTSB and DOT; and aviation insurance brokers. Aviation-related negotiation is another area of expertise in areas of operating and financing aircraft, engine, and parts leases and financing; charter operation and services agreements; airline support agreements, including airport leases, operating and through-the-fence agreements; ground handling, maintenance, fueling and all other airline and aircraft support agreements. Our attorneys possess the expertise to represent a business at any stage: formation, expansion, succession planning, contraction or restructuring and are familiar with the statutory, legal, financial and tax consequences involving sole proprietorships, joint ventures, partnerships, business trusts, various types of corporations, and limited liability companies. They can guide clients through the negotiation and structuring necessary to achieve the best possible results for their businesses. The firm represents numerous health care organizations in Kansas, including doctors, nurses, therapists, hospitals, hospices, home care organizations, durable material providers, professional associations, common billing and control groups. Health care representation requires business knowledge as well as familiarity with Medicare, Medicaid, state regulations and insurance cost control agreements. The attorneys have represented health care organizations in every stage of business: formation, restructuring, sale, merger and acquisition, and before administrative agencies and Courts. Our firm understands the rapidly-changing health care industry and can help clients prosper in this changing environment. The firm has represented a variety of businesses in mergers, acquisitions, sales and reorganizations from small family companies to large, publicly-traded institutions. This work encompasses succession planning, assistance in satisfying capital needs, and expansion in investing opportunities. 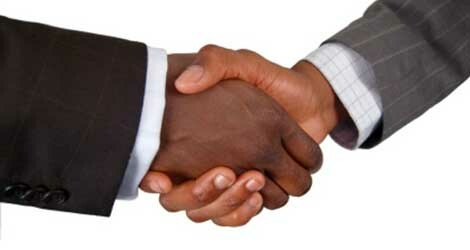 Business mergers and acquisitions have been structured using stock, cash, assets and financing techniques to achieve the business and tax goals clients desire. Energy, especially oil and gas, is a specialty of the firm. Energy exploration and development, transportation and marketing in our region have undergone tremendous changes. The firm assists clients in regulatory compliance, business structure and energy industry agreements, as well as providing a wealth of practical experience in the energy industry. The attorneys represent independent developers and producers throughout the country and several major energy companies on Kansas legal and regulatory matters, including appearances before various commissions and Courts, assistance in leasing, marketing, promoting and venture strategies and agreements, title examination, drilling opinions and all phases of business operations. The firm has represented clients in both State and Federal Courts on environmental issues related to hazardous waste investigation, property damage, toxic torts, endangered species, and remediation of air, soil and groundwater. The attorneys also represent clients in matters with the U.S. EPA, the Kansas Department of Health and Environment and other related state agencies. The firm has extensive experience in matters related to the environment, whether regulatory compliance, land use, structuring transactions to limit liability or, when necessary, litigation. 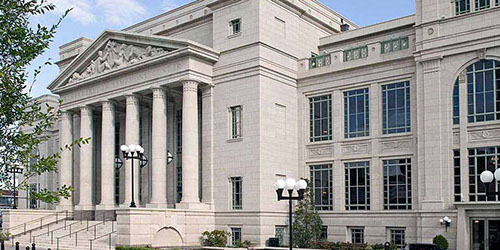 The firm’s attorneys have the knowledge and expertise to wisely guide clients in complex estate and trust planning matters, including personal and business succession planning, protection and care of children and other dependents, and potential tax consequences, providing estate planning advice; formation of succession planning vehicles such as family partnerships, corporations and limited liability companies. 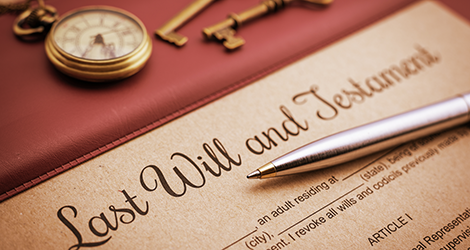 We offer advice and drafting for business succession planning; advice and representation of fiduciaries; litigation of disputed succession matters; preparation of various living documents, such as wills, trusts, conservatorships, guardianships, powers of attorney and living wills; and assistance in managing elder care problems and costs. Several of the attorneys are top litigators in Kansas, specializing in personal and business affairs and mindful of the investment of money, time and emotion that litigation demands of clients. They strive to minimize that cost in a manner consistent with providing the best possible representation. Specialized areas of litigation are business, construction, eminent domain, employment, energy, environment, estate and fiduciary, personal injury, and products liability. Whether defending a claim, pursuing a breach of contract or enforcing an agreement, our attorneys have the skill and experience to maximize the client’s position. Representation has included large, complex multi-court cases and small business disputes in State and Federal Courts. 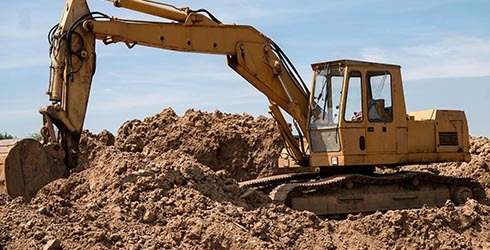 We represent clients who have been involved in litigation concerning commercial, government and residential projects, including contractors, subcontractors, suppliers, architects, engineers, owners, lien holders, financial institutions and their insurers and bonders. While we encourage clients to consider dispute resolution, sometimes litigation is the proper course of action and necessary to achieve a fair and just result for our clients. The government has the right to take property for public purposes but it must pay a fair market price. With political incentives for governments to reduce taxes, appraisers are frequently under pressure to offer an unfairly low price. Using appropriate techniques in order to maximize the value for clients, the firm has represented both owners and lessees in government eminent domain and condemnation actions involving office buildings, vacant real estate, farms and active businesses of numerous types. Wrongful termination, whistle-blowing, discrimination, harassment, overtime disputes, disability accommodations, and restrictive covenants are some of the disputes that arise out of the employment relationship and present litigation that requires an understanding not only of the laws and regulations but of the emotional and financial involvement of the parties. Our attorneys represent both employees and employers in such disputes before all agencies and Courts addressing these issues. Energy and the energy industry have undergone enormous changes in the past several decades, resulting in both legal and technical challenges for those in the industry. The attorneys have the educational, regulatory and industry background to understand these challenges. Our experience with the oil and gas industry is extensive and our legal expertise across the spectrum from wind energy to unconventional resources is unparalleled. 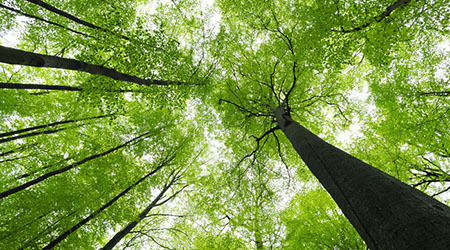 Our firm has become a preeminent environmental law firm, representing the interests of landowners against polluters. This requires not only special trial skills but also an intimate knowledge of the complex laws and regulations impacting the ownership and control of real property and the use, possession and transportation of potential pollutants and waste. In addition, a detailed knowledge of the science background of this complex area is a key to success. The attorneys have successfully prosecuted numerous individual groups and class action cases against large corporations and governmental bodies. We have also represented businesses and governmental bodies in both litigation and business transactions involving environmental issues. Estate litigation potentially involves much more than simple probate. It may involve disputes over money between family members, close friends and trusted advisors, and frequently requires exceptional people skills. In addition to normal probate and fiduciary matters, the firm has represented financial institutions, fiduciaries and claimants and helped guide them through the process of establishing and enforcing rights and responsibilities and correcting errors that may have occurred. Understanding and identifying with an injured person and preparing the case are the keys to obtaining the largest possible judgment or settlement involving accidents, hidden property defects, malpractice, or equipment failures. Our attorneys who handle personal injury cases know how to convince an adjuster and a jury of the extent of suffering and damage endured by our clients. We represent clients in product liability cases, such as aircraft crashes, pharmaceutical reactions, or chemical injuries involving large sums of money and extremely technical expert analyses. We have the experience and expertise to properly develop these cases and represent our clients successfully. Our firm is known for its preeminence in alternate dispute resolution. Litigation can be costly. Exorbitant costs often can be avoided through proper mediation which assists the parties in reaching their own resolution to a dispute. Assisting the parties to a dispute to reach their own resolution can be an efficient and cost-effective solution to the problems. Our attorneys serve as mediators, arbitrators or court-appointed special masters. Some have completed special training to act as mediators and arbitrators and have served as mediators in many Federal and State actions and arbitrators in various civil arbitrations. The firm members have extensive experience in the purchase, sale, ownership and development of commercial and residential real estate properties and in representing regional and local contractors, suppliers, architects and engineers in operational matters. This representation requires expertise in finance, zoning, building codes, land usage compliance, tax structures, and environmental regulation and conditions. The Curious Policy Implications of In re SemCrude: Do Crude Oil Markets Need a Volcker Rule?